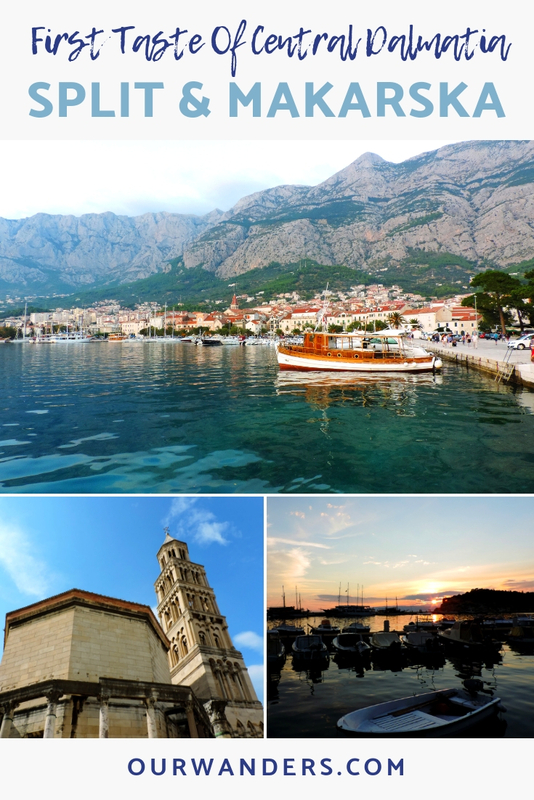 Dalmatia is one of the four historical regions of Croatia and our favorite! It’s the narrowest of the regions and it includes the Dinaric Alps mountain ranges and the Southern Adriatic coastline. Mediterranean climate, bare white mountains along the coast, magically blue Adriatic Sea, wonderful old towns, pretty islands, vibrant harbours and beach towns, Dalmatian wines, Mediterranean evergreen trees, hospitable locals – that is what Dalmatia is in a nutshell. 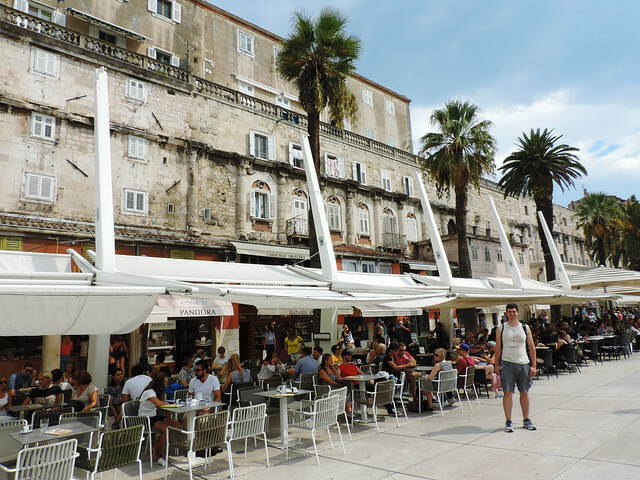 In this post we wanted to share our two amazing findings with you in the central part of Dalmatia: Split and Makarska. Both cities are built on the Adriatic coast and they are only an hour drive from each other. And what connects them is a series of pretty beaches. 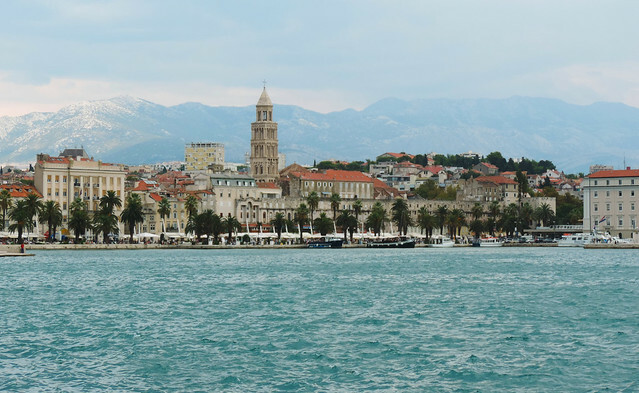 We started our day in Split that is the largest city in Dalmatia and the second largest in Croatia. But what really makes it special is that its city center is one of the oldest ones in entire Europe. It was actually founded as a Greek colony around the 2nd or 3rd century before Christ. 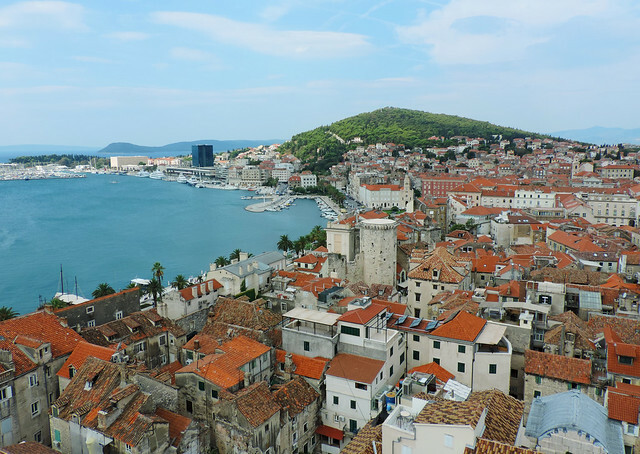 The Old Town is centered around the Roman Palace of Emperor Diocletian that was built roughly 1700 years ago. So the palace is one of the oldest structures in Split and also quite a popular one especially since The Game Of Thrones (it’s one of the shooting scenes). 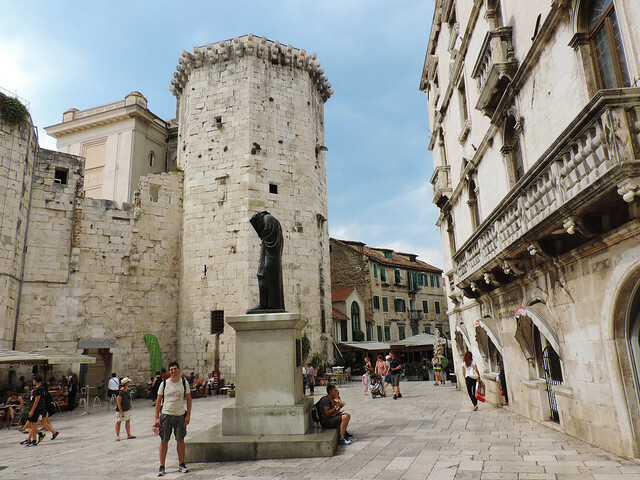 We walked up to the tower of Diocletian’s Palace and had a stunning panorama of Split, the surrounding mountains and the coastline. All the narrow cobblestone streets inside the old city walls made us feel that we travelled back several centuries in time. It was so easy to get lost and spend hours just walking there. Actually, we spent most of our time walking. Because once we got out of the Old Town we continued on Riva, a lovely Mediterranean seafront promenade with palm trees, benches, tempting cafes and ice cream stands. Then we admired the huge ships and glamorous yachts in the harbour. The only thing that didn’t really impress us in Split was Bacvice beach. It definitely has the advantage of being very close to the city center (15 minutes walk) but it’s crowded and uhm… well, if you want to find really magical beaches, don’t look for them in such a large harbour as Split, let’s put it that way. And we are getting back to finding magical beaches soon. All in all we found Split overwhelming! 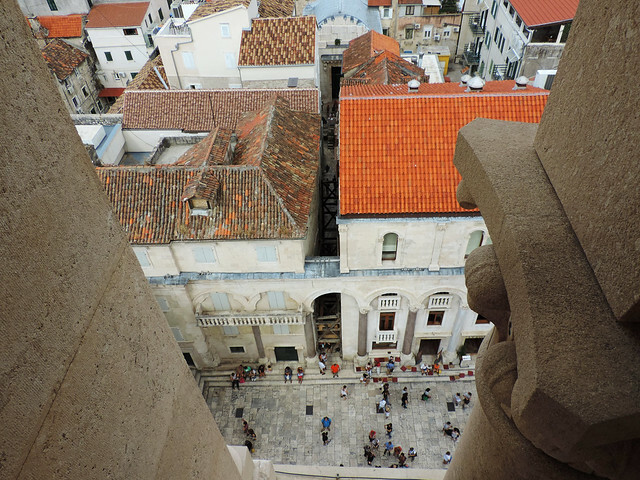 We’ve been to several beautiful old towns all around Europe but Split and Dubrovnik (another gem of Southern Dalmatia and you bet we’ll write about it soon) are probably our favorites. They are so well-preserved and complete that we could really feel being in the middle ages inside their old city walls. Since we live in Hungary we discover most part of Eastern Europe by our own car. That means parking in touristy cities often gives us headache. We try to park close to the city center while not paying a fortune. Sometimes it’s not an achievable goal. But surprisingly it went better than expected in all the Croatian cities we visited. Most of the times we were able to find even free parking spots located close to the city center. Like in Split where we parked near the ACI Marina for free. Of course, it helped a lot that we have a tiny Suzuki so we could take advantage of those small spaces on the street where other larger cars can’t fit in. Anyway, the park at the end of the peninsula near the ACI Marina was a nice place for a short walk and we got our first views of Split and its harbour. The walk to the Old Town took us about 15 minutes from there. Now it’s time to talk about beaches. We couldn’t write about Dalmatia without mentioning beaches anyway. 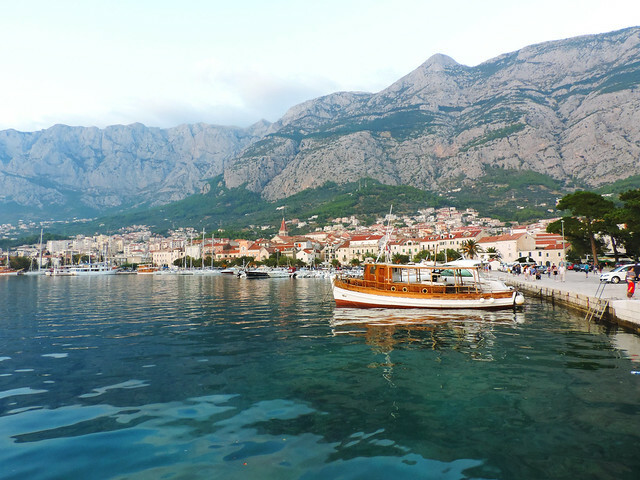 Because it has some stunning ones and the Makarska Riviera is famous for offering quite a few. The so called Makarska Riviera is a 60 kilometers long section of the Adriatic coastline south of Split. It stretches from Omiš on the northwest to Neretva Delta on the southeast and the white cliffs of Mountain Biokovo are towering above most of its long pebbly beaches and magically blue bays. The center of this region is Makarska, the largest of the beach towns and that was where we headed after leaving Split. We arrived late in the afternoon and had only a couple of hours for exploration before continuing our way towards Dubrovnik. But that couple of hours was enough to convince us that we want to visit Makarska and the Makarska Riviera again as soon as we can. 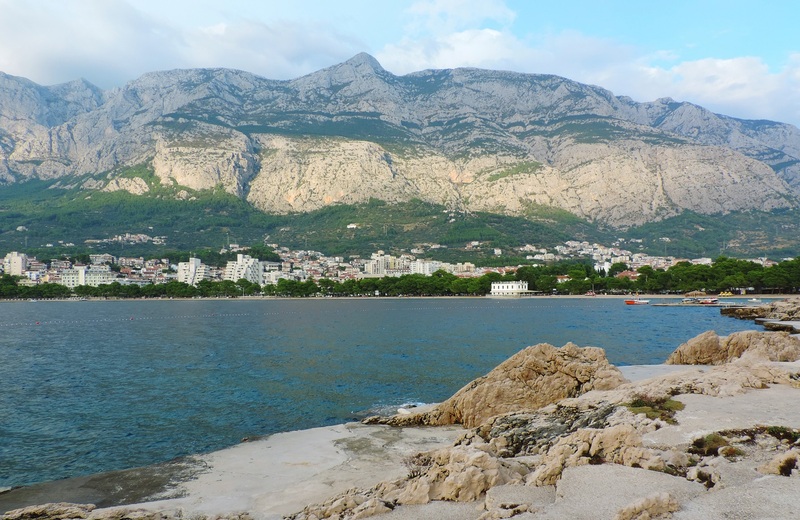 Makarska has amazing beaches with dramatic views of Mountain Biokovo! Of course, we had to start with a swim. Then we walked on the palm-fringed promenade and watched the sunset from the lovely harbour. There’s a huge selection of privately owned lovely rooms and apartments both in Makarska and in other smaller towns of Makarska Riviera – like Brela, Baška Voda, Tučepi, Podgora, Podaca or Gradac. We stayed in Gradac at Apartments Mateljak and liked this place with spacious rooms and friendly hosts. We were watching the moonlight over the Adriatic Sea from our balcony in the evening. We visited several regions of Croatia on our road trip last summer but we spent just a little bit of time everywhere. And Central Dalmatia is definitely one of those regions we are eager to return to. 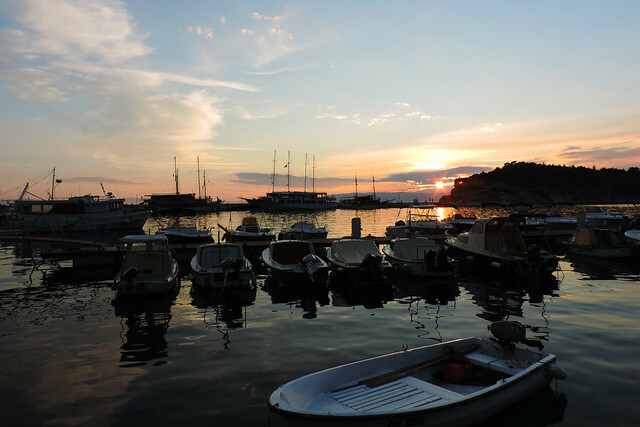 We want to visit the beautiful islands of Brač and Hvar. 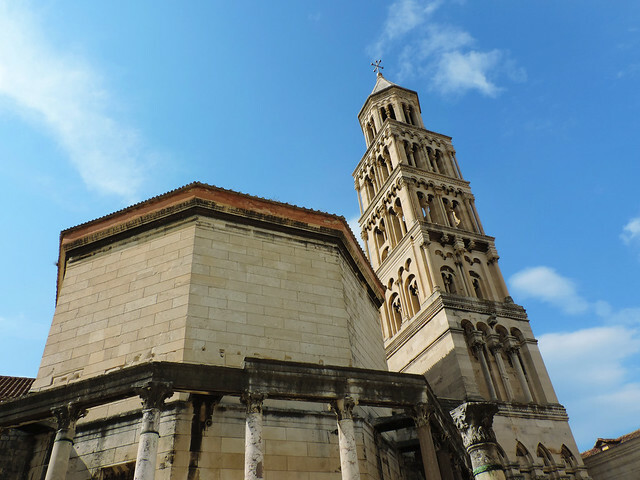 We want to do some sightseeing in Trogir that is another city with an Old Town listed as a UNESCO World Heritage Site including its magnificent Venetian cathedral (St Lawrence’s Cathedral). We want to hike in Biokovo Nature Park. 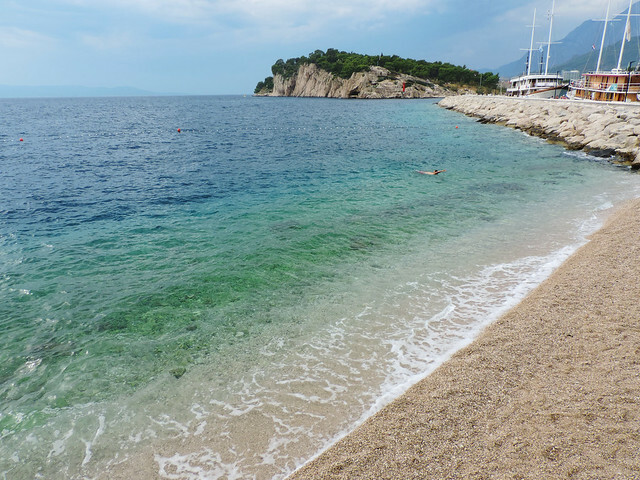 And discover even more pretty beaches of the Makarska Riviera. Have you been to Dalmatia? Which of these places sounds the most tempting to you?